Etta Says! 4’’ Crunchy Chews are a unique mixture of rawhide and high-quality protein formed into a tasty chewable treat. 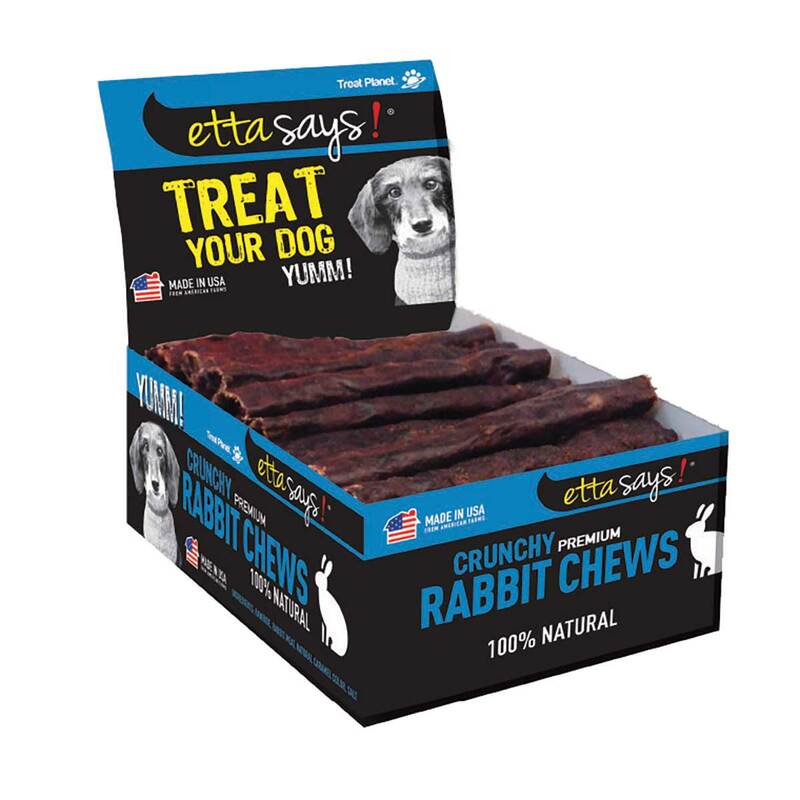 They are safer than rawhide due to a proprietary manufacturing process and made from wholesome high-quality American protein. These delicious treats will not stain the carpet has no odor and are easy on dog’s stomachs.